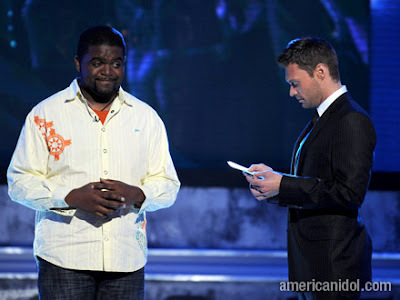 Now that this season of American Idol has reached it’s top 12, I am reminded of just a couple seasons ago, when top 12 finisher Chikezie was spotted rockin’ a shirt by A. Tiziano featuring art graphics by Darien Design. Although it was too bad that the singer from California got voted off on the night he was wearing the AT design, it proved good since he got extra air time… which means of course, Darien Design got a little extra air time on national television as well! 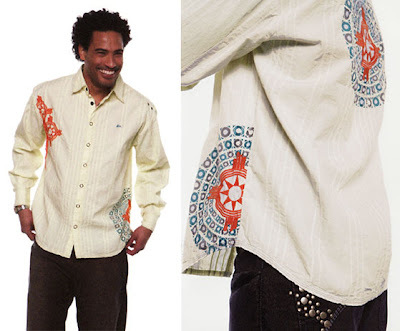 The woven shirt sports a Southwestern embroidery on the front upper left as well as a printed side wrap graphic and full back print.